The Turkish Foreign Ministry issued a statement condemning Greece for the shooting of a Turkish cargo ship near Rhodes on Monday, while Ankara sent three warships in the area the incident took place. 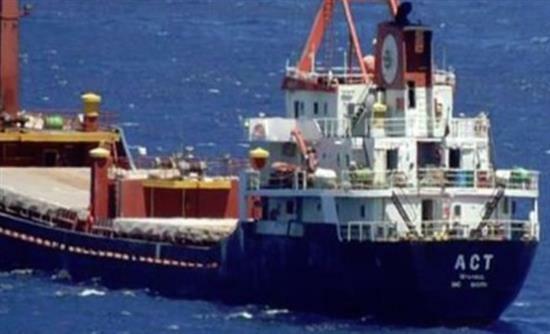 Greek coastguard sources say that after receiving information of a cargo ship carrying drugs, a coastguard boat approached the Turkish-flagged cargo ship ACT within territorial waters and asked the captain to lead the boat to Rhodes for inspection. According to the same sources, the Turkish captain defied the repeated calls and the coastguard vessel fired warning shots. The Turkish vessel continued to ignore the Greek coastguard commands and entered Turkey‘s waters. As Turkish media reported on Monday evening, three Turkish ships, two patrol boats and a warship sailed to the South Aegean, in the area where the incident took place, and accompanied the Turkish ACT vessel to the port of Marmaris. The Turkish Foreign Ministry condemned Greece for the incident, making reference to “dry cargo” being carried between the Iskenderun port to Izmit port. “We strongly condemn the unmeasured act of Greek authorities in this disgusting incident,” a Turkish foreign ministry statement said. “The only thing we find comforting is that there were no casualties or injuries,” the statement further says.